That Nutrition Girl – Dr. Mary Scourboutakos, B.Sc. Ph.D. 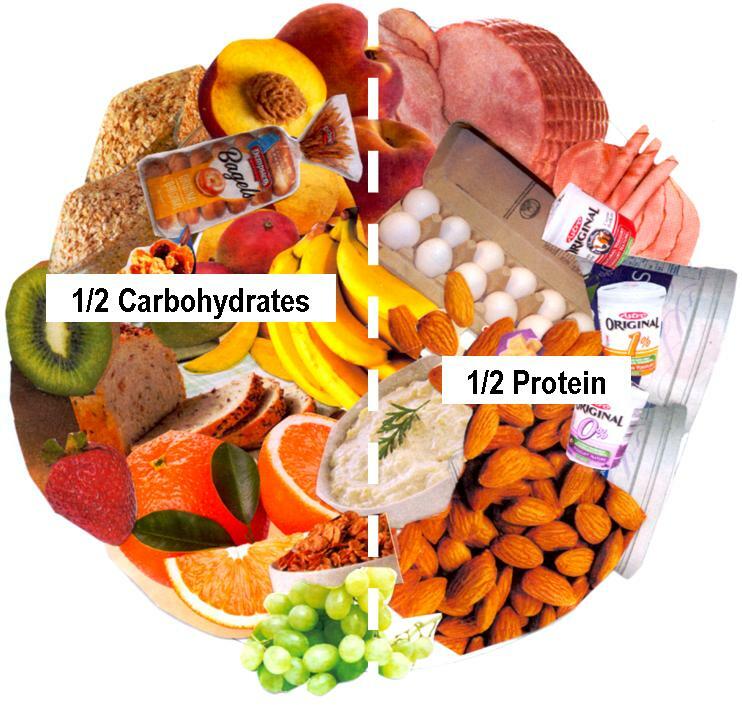 When it comes to healthy-eating, the single most important thing is balance. 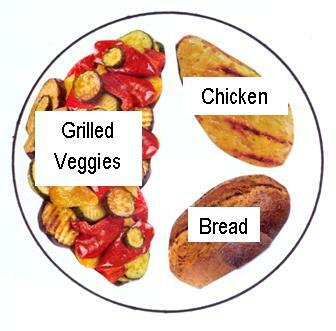 When you sit down for a meal, strive to fill approximately half of your plate with vegetables. Then fill one-quarter with carbohydrates (ex. bread, rice, pasta, potatoes) and one-quarter with protein (ex. meat, fish, beans). …can still be good. 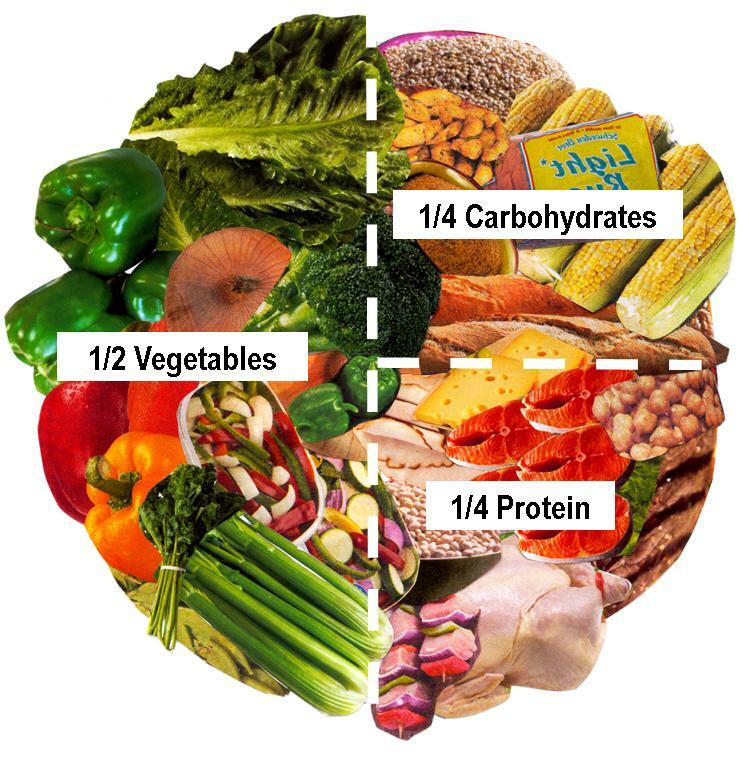 They key is to always combine vegetables, carbs and protein, even if they’re not in the proper proportion; and to avoid eating meals that contain only one type of food (ex. like having just a salad, or just a bowl of pasta for dinner). 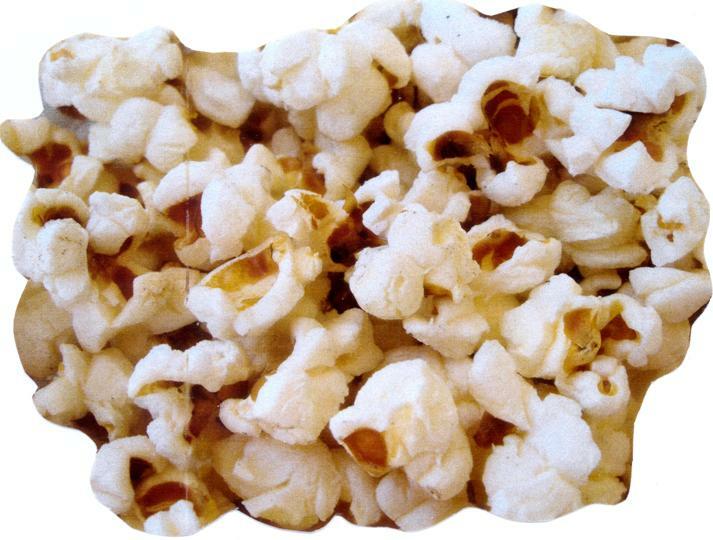 and air-popped popcorn. 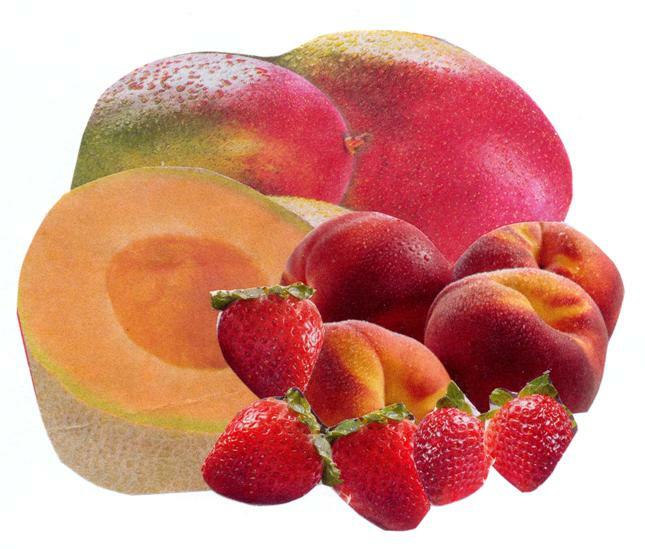 It’s loaded with fiber and contains less than 30 calories per cup! Before you snack, always drink water first, because thirst is commonly confused with hunger. Speaking of beverages, drink water with each meal and throughout the day. When you are thirsty, the only beverage you should reach for is water. All other beverages should be viewed as treats. In addition, fat is also part of the balance you need at each meal. 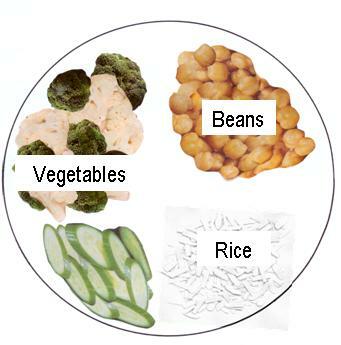 Always be sure to always combine vegetables with fat, because without fat you can’t absorb the nutrients they contain. First, balance ensures that you get a variety of nutrients, because different foods contain different nutrients. And second, balance is the key to feeling satisfied. That’s because there’s a variety of signals that are sent from our digestive system to our brain to tell us when we’re full. The catch is, different foods stimulate the release of different signals. Therefore, if you exclude a particular food group, certain signals never get sent and the brain keeps telling the body it’s hungry. 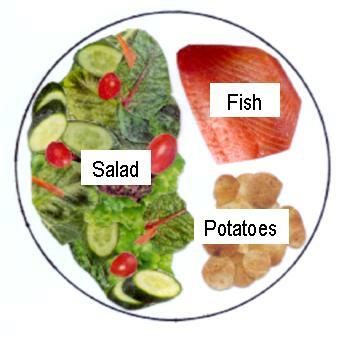 Furthermore, a balanced meal takes longer to digest, which also keeps you feeling full for longer. Ultimately, everyone’s ideal diet is different. Thus, there’s no secret to eating-well, it depends on you…and your genes, how much you exercise, your occupation, your culture, how much stress you’re under, what you like/dislike, and so much more. Hence, what works for someone else, may or may not work for you. So try everything, self-experimentation is vital! Also, it’s important to know that what works for you today, may not work for you tomorrow or six months from now, or six years from now. We are constantly changing and thus our diets must also change over time. We overeat. And there are two main reasons why. First, we overeat because we don’t eat real food. 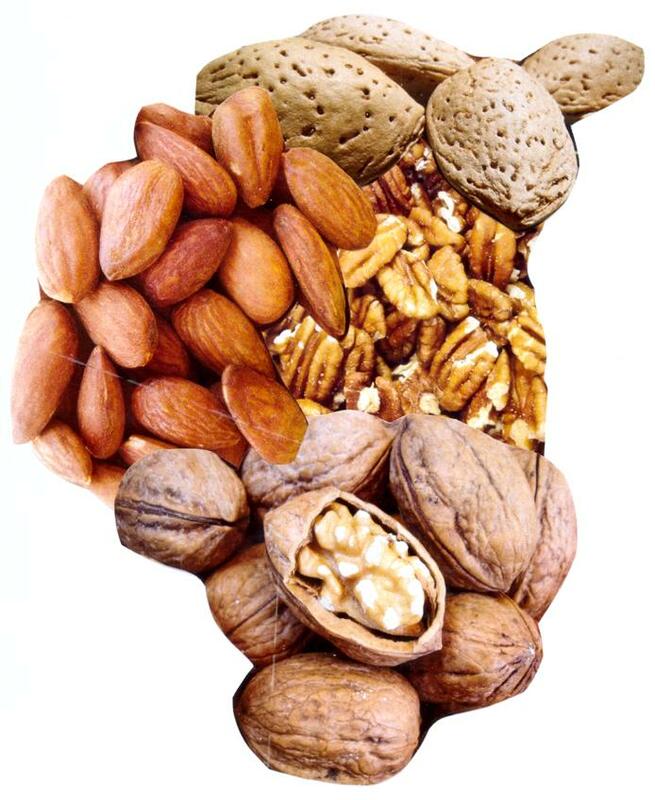 Consider real food, like raw nuts, such as almonds. Even if you were really hungry, how many almonds could you possibly eat? Ten…maybe fifteen? After all of the laborious chewing and the consistent earthy taste you eventually stop eating. Now, contrast that with chips…when hungry, one could easily eat an entire bag and still crave more! This is the problem. Processed food is engineered to taste too good, and that a big part of the reason why we can’t stop eating it. The second reason we overeat is that our meals lack balance…a topic we’ve already covered. When you eat can be as important as what you eat. Ideally you should strive to maintain a consistent meal pattern throughout the day. Whether it’s three meals a day, or three plus two snacks, figure out what works for you and stick with it because one of the root causes of overeating is meal-skipping, which always leads to uncontrollable eating later on. Throughout the day and through the course of each meal, flavor intensity should crescendo. There’s a reason dessert comes at the end of the meal, it’s because you can’t appreciate the flavor of vegetables after you’ve hyper stimulate your palate with something like sugar. Remember, eat the bland foods first, and save the most flavourful ones for last. It’s perfectly okay to indulge yourself every once and a while, just don’t make a habit of it. That’s it. That’s the gist of what you need to know. Too often we get caught up in the details, but in fact, the foundation of a healthy diet is that simple.